Focus 1. Functional thin-films, two-dimensional layered materials and heterostructures. Focus 2. Luminescence and phosphors for photonic and biomedical applications. April 2019: Shuoguo Yuan et al. 's paper "Room-temperature ferroelectricity in MoTe2 down to the atomic monolayer limit" is published in Nature Commun. on 16 April. Congratulations! April 2019: Prof. Jianhua Hao received the President’s Awards for Excellent Performance/Achievement in Research & Scholarly-Individual in PolyU (2017/2018) in the presentation ceremony held on 10 April. 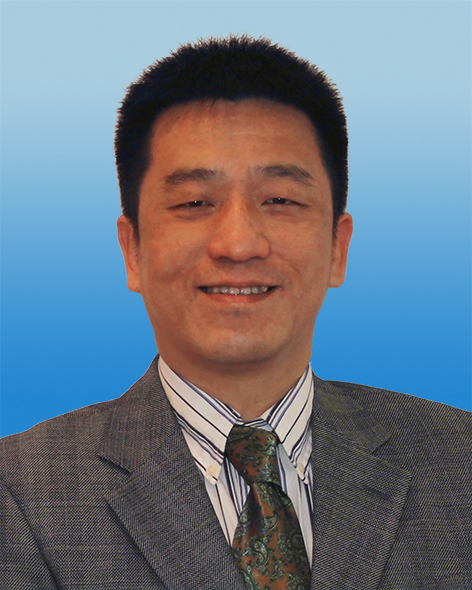 Jan., 2019: Wiley Materials Views interview with Prof. Jianhua Hao, Associate Editor of InfoMat. Dec., 2018: Daisy Yuen-Ting Wong and Louis Hung-Lit Chan have succesfully defended their MPhil theses. Congratulations! 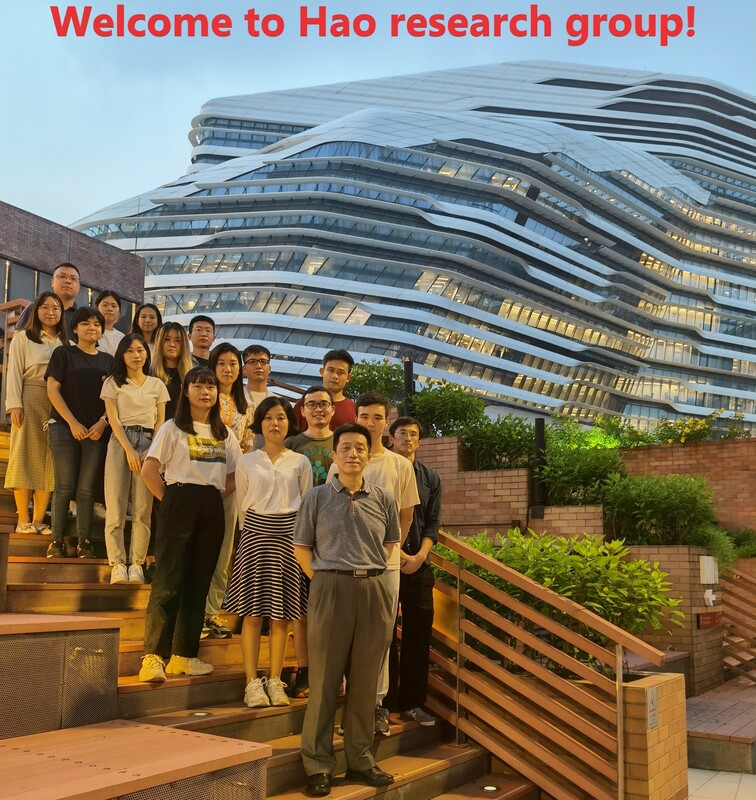 Dec., 2018: Ran Ding joined our group as Postdoctoral Fellow supported by Hong Kong Scholars Program. Welcome! Nov., 2018: Wei Xu et al. 's paper "Strategies and progress on improving robustness and reliability of triboelectric nanogenerators" is published online in Nano Energy. Congratulations! Oct., 2018: Beining Zheng joined our group as Postdoctoral Fellow. Welcome! Oct., 2018: Wei Xu has succesfully defended his PhD thesis. Congratulations! June, 2018: Yang Zhang et al. 's paper "Ferroelectric and piezoelectric effects on the optical process in advanced materials and devices" is published online in Adv. Mater. (Invited Review). Congratulations! May, 2018: Our research won the “Global Innovation Award” at TechConnect World Conference and Expo 2018 staged in the United States. TechConnect grants awards to the top 15% of innovations submitted, with assessment based on the potential positive impact the submitted technology will have on a specific industry sector. Around 500 submissions from about 180 organisations were received this year. Among them, 25 are presented with global awards designated for non-US-federal-funded innovations across the world. Another 55 national awards are granted to innovations with US federal funding. The award receivers include many global-renowned institutions and premier research centres. Jan., 2018: Bobi Ming-Kiu Tsang and Zhibin Yang have succesfully defended their PhD theses. Congratulations! Dec., 2017: Mei-Yan Tse has succesfully defended her MPhil thesis. Congratulations! Sept., 2017: Zehan Wu and Yongxin Lyu joined our group as PhD and MPhil students, respectively. Welcome! Aug., 2017: Man-Chung Wong et al. 's paper "Temporal and remote tuning of piezophotonic effect-induced luminescence and color gamut via modulating magnetic field" is accepted for publication in Adv. Mater.. Congratulations! July, 2017: Wenjing Jie et al. 's paper "Observation of room-temperature magnetoresistance in monolayer MoS2 by ferromagnetic gating" is accepted for publication in ACS Nano. Congratulations! April, 2017: Our research won the Special Merit Award and Gold Medal with the Congratulations of Jury at the 45th International Exhibition of Inventions of Geneva, which has attracted 725 exhibitors from 40 countries/regions, showcasing around 1,000 new products and it is the biggest event of its kind globally. March, 2017: Zhibin Yang et al. 's paper "Wafer-scale synthesis of high quality semiconducting two-dimensional layered InSe with broadband photoresponse" is accepted for publication in ACS Nano. Congratulations! Dec., 2016: Long-Biao Huang and Wei Xu et al. 's paper "Wind energy and blue energy harvesting based on magnetic-assisted noncontact triboelectric nanogenerator“", is published in Nano Energy and highlighted by X-MOL (http://www.x-mol.com/news/4702). Congratulations! Oct., 2016: Shuoguo Yuan et al. 's paper "Ferroelectric-driven performance enhancement of graphene field-effect transistor based on vertical tunnelling heterostructures" is published online in Adv. Mater.. Congratulations! Sept., 2016: Our research is highlighted by PolyU Milestones (September 2016) with Cover Story of "Shining a new light on virus detection" (https://www.polyu.edu.hk/cpa/milestones/en/201609/cover_story). Aug., 2016: Wei XU and Long-Biao Huang et al. 's paper “Environmentally friendly hydrogel-based triboelectric nanogenerators for versatile energy harvesting and self-powered sensors", is accepted for publication in Adv. Energy Mater. and highlighted by Materials Views (http://materialsviews.com/environmentally-friendly-nanogenerators-for-versatile-energy-harvesting-and-self-powered-sensors/) and Materials Views China (http://www.materialsviewschina.com/2016/10/for-energy-and-human-motion-sensing-by-self-drive-flexible-hydrogel-base-for-environment-friendly-devices/). Congratulations! July, 2016: Gongxun Bai and Ming-Kiu Tsang et al. 's paper "Luminescent ions in advanced composite materials for multifunctional applications" (Feature Article) is accepted for publication in Adv. Funct. Mater.. Congratulations! June, 2016: Gongxun Bai et al. 's paper "2D layered materials of rare-earth Er-doped MoS2 with NIR-to-NIR down- and up-conversion photoluminescence" is accepted for publication in Adv. Mater.. Congratulations! June, 2016: Supported by our ITF project, Dong Chengjun joined us as Postdoctoral Fellow. Welcome! March, 2016: PolyU organized a press conference in relation to the media publicity for our research “Development of novel nano biosensor for rapid detection of flu virus”. The news is covered by many media outlets, such as TVB Jade News, TVB Pearl News, RTHK Radio, Ming Pao Daily News, Sing Tao Daily, Oriental Daily News, Apple Daily, The Sun, HK Economic Times, HK Economic Journal, am730, Metro Daily, Sky Post, The Standard, Headline Daily, Ta Kung Pao, Wen Wei Po, HK Commercial Daily, HK Investment Times, China Daily Asia, Chinadaily European, Asia News Network, Xinhua News (English), Science Daily, PhysOrg.com, and so on. January, 2016: Supported by our newly funded ITF project, SU Xiaoqian, WONG Yuen Ting, Daisy, and HO Ka Lok join us. Welcome! January, 2016: Bobi Ming-Kiu Tsang et al. 's paper entitled "Ultrasensitive detection of Ebola virus oligonucleotide based on upconversion nanoprobe/nanoporous membrane system" is accepted for publication in ACS Nano. Congratulations! December, 2015: Long-biao Huang et al. 's paper entitled "Magnetic-assisted non-contact triboelectric nanogenerator converting mechanical energy into electricity and light-emissions" is accepted for publication in Adv. Mater. Congratulations! August, 2015: Our paper published in Adv. Mater. 27, 4488 (2015) (Frontispiece) has been highlighted as "Materials: Magnetic opportunities" by Chief Editor, Dr. Oliver Graydon in "News and Views", Nature Photonics, 9, 558 (2015). July, 2015: Mr. Wei Xu graduated from Sichuan University and Ms. Mei Yan TSE graduated from our AP, PolyU joined our group as PhD and MPhil students, respectively. Welcome! June, 2015: Man-Chung Wong et al. 's paper "Magnetic-induced luminescence from flexible composite laminates by coupling magnetic field to piezophotonic effect" is accepted for publication in Adv. Mater.. Congratulations! April, 2015: Zhibin Yang et al. 's paper "Field-effect transistors based on amorphous black phosphorous ultrathin films by pulsed laser deposition" is accepted for publication in Adv. Mater.. Congratulations! January, 2015: Wenjing Jie et al. 's paper "Layer-dependent nonlinear optical properties and stability of non-centrosymmetric modification in few-layer GaSe sheets" is published in Angew. Chem. Int. Ed.. Congratulations!